Working group on construction of Nizhegorodsky hydrosystem in the Nizhny Novgorod Region has been established under the auspices of RF Transport Ministry. According to Federal Marine and River Transport Agency, the decision was made at the meeting chaired by RF Transport Minister Yevgeny Ditrikh. The meeting was attended by Yury Tsvetkov, Deputy Minister of Transport – head of Rosmorrechflot; Victor Vovk, deputy head of Rosmorrechflot, representatives of Volga Basin Administration and Tehtransstroy, general designer of the hydrosystem as well as Nizhny Novgorod Governor Gleb Nikitin. 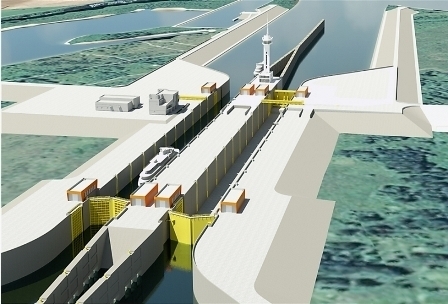 The construction of the Nizhny Novgorod hydroengineering facility is stipulated by the Strategy for the Development of Inland Water Transport of the Russian Federation for the period until 2030 (approved by the Government Decree No. 327-r, February 29, 2016), the Federal Target Program "Development of the Transport System of Russia (2010-2020)". Total financing under the project is estimated at RUB 43,461.8 mln. Construction of the hydrosystem is to be completed in 2021. Russia’s General Board of State Expert Review (Glavgosexpertiza) has approved the main (technological) phase of the project.